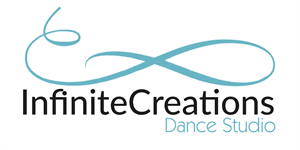 Thank you for choosing to register with Infinite Creations! We are thrilled to have you as part of our programs, and extend a warm welcome to you and your family. Please fill out the following registration information, and let us know if you have any questions! Please note that this process reserves a space for you in our program for seven days. Payment must be made within seven days of your registration to officially confirm your spot. Please choose your program/class choice(s) from the following selection. After your registration is processed, our staff will confirm your class placement with you. We want to ensure your child is placed in the most appropriate class/level, so final placement is dependent on staff recommendation. To comply with the new Anti-Spam regulations (CASL), small businesses like us, also are needing your consent! We need your permission to send emails regarding future promotions and details about Infinite Creations! There is usually a lot of information for us to send out in a year and we would love to stay connected with you, so that we can provide you with the most positive experience possible. We ask that you please give us your consent to stay in touch through email! You can do so, by checking the "I Agree" text clause on this web registration form. I give permission for images of my child or children during regular and special activities as a part of Infinite Creations Inc. through video, photographic and digital camera, to be used by Infinite Creations Inc. solely for the purposes of promotional material (including but not limited to Infinite Creations' website, brochures, social media platforms such as Facebook and Instagram, and other publications. I waive any rights of compensation or ownership thereto. I also give my consent to recital videography (full year dance program). -Infinite Creations has the right to suspend or refuse service to anyone who does not follow the studio's policies (as outlined in the studio policy handbook). -Missed classes are non-refundable. Make up classes may be available through the office, and are subject to availability. Costume notices for our full year classes go out every December. Recital costumes range anywhere between $65.00 - $120.00. Sizing suits are available in the office and our team members are happy to assist you in finding the proper size for your child. Payments will be due at the given deadline (please see policy handbook and recital handbooks) and any late payments are subject to a $10.00/day late fee and any additional shipping, duty and brokerage charges that are incurred for processing your late order. Further details will be provided with the costume order forms. All extra costs such as recital tickets and DVDs are additional expenses and are not included in base tuition fees. Friday and May Long/Victoria Day Weekend. All sessionals will receive the guaranteed number of classes. -Infinite Creations is not responsible or liable for any items that are lost or stolen. -Missed camps and missed camp days are non-refundable. 1)	Tuition payment (in full or PAD) must be received prior to the commencement of classes. 4)	Deposit and Registration fee must be paid to secure space in program. 8)	PAD's for monthly payments MUST be submitted in a timely manner (prior to the third last business day of the registration month) to be processed for the first business day of the following month or before September 1, 2019. Failure to submit PAD form on time will result in a $10.00 administration fee. 1)	Full session payment is due upon enrolment and must be received prior to the commencement of classes. Withdrawal Policy: All Withdrawals must be given in writing (via email or letter), no later than the 15th day of the month. Due to processing time, any withdrawals given past the 15th will forfeit their next month's payment. Partial monthly tuition will not be reimbursed. All Withdrawals must be given in writing via letter or email. All withdrawals will be refunded for the amount remaining in the sessional class, less a 25% processing fee of the remaining balance. Withdrawals will only be processed from the day the notice is received. "Back Tuition" for missed classes prior to receiving the notice will not be refunded. All Withdrawals must be given in writing via letter or email. All withdrawals will be refunded for the amount remaining in the dance camp, less a 25% processing fee of the remaining balance. Withdrawals will only be processed from the day the notice is received, and is calculated in full days. "Back Tuition" for missed classes prior to receiving the notice will not be refunded. I understand and agree that in participating in any dance class, workshop, camp, party (studio or birthday), rehearsal or performance, there is a possibility of physical injury or death. I voluntarily agree, therefore, to assume all risks and responsibility for any such injury or accident, which might occur to me or my child during any of Infinite Creations Inc. dance classes, rehearsals, performances, or activities. I also exempt, release, and indemnify Infinite Creations Inc., its owners, agents, volunteers, assistants, employees, guest artists and/or students from any and all actions, liability claims, demands, or causes of action whatsoever for any damages, losses, injuries of any nature, or death, to me, my children, or property which may arise out of or in connection with participation in any classes or activities conducted by Infinite Creations Inc.. I further hereby voluntarily agree to waive my rights and that of my children, heirs and assigns to hold Infinite Creations Inc., its owners, agents, volunteers, assistants, employees, guest artists and/or students liable for such damage, loss, injury, or death. I understand that I should be aware of my child's physical limitations and/or my own, and agree not to exceed them. If I am signing this waiver for my children, I certify that I am the parent or legal guardian and have the right to waive these rights. I agree and my children agree to be bound by the rules contained in the registration form. Infinite Creations Inc. shall not be held responsible for any loss or theft of any personal possessions whatsoever. We appreciate you registering online with Infinite Creations! Please note that you will receive an email within 1-2 business days with details on how to proceed with your tuition payment. Your online registration will only temporarily hold your space in our program so please be sure to pay your fees by the date recorded in the email that you will be sent. Your registration is not confirmed and your space is not fully secure until your payment has been made. Please do not hesitate to contact us if you have any questions! Please check the "I Agree" text clause on the registration form to acknowledge that you understand this policy. Thank you for being a part of Infinite Creations! We appreciate your business and look forward to a wonderful 2019-2020 season!